We know that a new batch of Motorola’s are just around the corner. Not only have the leaks been coming in pretty steadily but Motorola has also officially announced an event that will take place on July 28. Most sources are pretty certain that the new Moto G will be unveiled at the event but the flagship Moto X (2015) seems to be a bit more of a question mark at this point. Well perhaps this latest photo is a hint that it’ll also debut July 28. The above image was posted on Google+ by Brazilian Roger Pretto. As previously reported, São Paulo, Brazil is one of the host cities for the July 28 event so it’s very possible that devices were shipped there ahead of the event and that we will indeed get our official first look at the device on that day. Pretto also noted (based on a helpful Google translate) that “the camera and battery had a top upgrade.” Sounds pretty promising to me! So what do you guys think of this latest look? 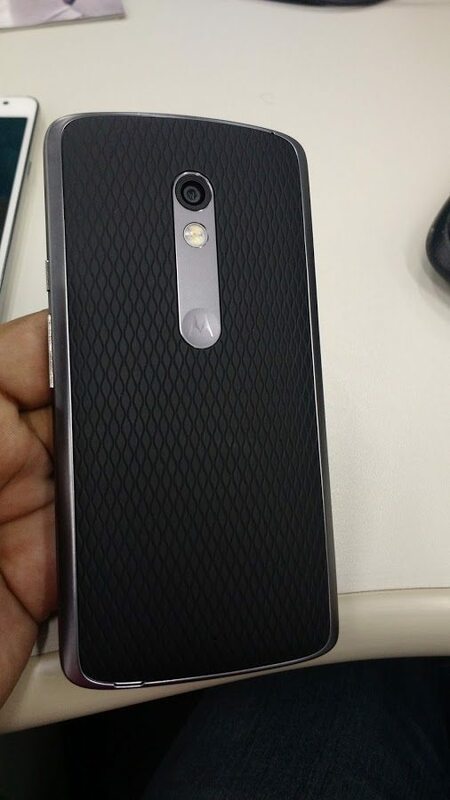 Are you liking the look of the Moto X (2015)? The post Another Shot Of The Moto X (2015) Leaks appeared first on Android in Canada Blog.